SEPTEMBER 15TH is Independence Day in Honduras. corruption, and most of all, its need for Jesus Christ as Saviour. November 26th are the general elections. .
Any other offerings that come in will go towards paying the vehicle loan off. The payoff as of August 15th is $11,372.44. The monthly payment is $457.00. Thank you for your prayers for my Mother, Mrs. Lena Priday, through her knee surgery and heart failures (twice). She still needs to have the other knee replacement done at later. She is doing much better and is advancing very well in her therapy. W e praise the Lord for His Hand over her. 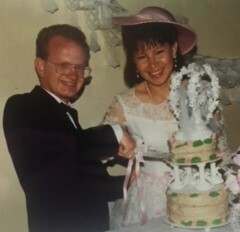 This Sunday the 20th of August is our 29th wedding anniversary. It is hard to believe how fast time has gone! We praise the Lord for His blessings, watch care over us and our family, and the privilege to serve Him. We ask you to pray for the upcoming Prophecy Conference and Men’s Conference the first week of October with Bro. and Mrs. Phillip Sawilowsky. Several churches will be attending. We pray that these special events will strengthen and encourage the people. Greetings from Honduras! We are excited to be back HOME where God has called us to serve Him. We returned Wednesday, April 5th. We appreciate your prayers as we travelled on furlough and our flight back here. Now we are working on getting the car and some things we brought back, including thousands of tracts, out of customs. Please pray with us that this will go smoothly and we won’t have to pay high taxes. We praise the Lord for His protection and blessings while we were in the States. We traveled about 40,000 miles. We were in churches in Texas, Oklahoma, New Mexico, Colorado, Arizona, Oregon, Washington State, Ohio, Indiana, Michigan, South Carolina, Georgia, Pensacola, Florida, Alabama, and Arkansas. We visited 59 churches for 126 services, 2 Bible Colleges for two classes and 4 chapel services, 2 IBFI Fellowship meetings, and 1 Christian school. We drove to every one of the churches where we went. We were in several new churches trying to raise new support and we praise the Lord for those who began supporting us. We also praise the Lord for our supporting churches that increased our support. That is a great encouragement to us also. We were not able to visit all our churches, but they will be a high priority for us to visit on our next furlough. We thank them especially for their continued prayers and financial support. The mission church here had a special service to welcome us home and a surprise supper for us at a local restaurant. That was a great blessing. They recognized the preachers that preached on Sundays with gifts. As soon as we arrived, we started finishing the preparations for Youth Camp. It started six days after we arrived. Halbert had organized a support team to handle the music and afternoon activities. Three of them were cabin leaders as well. They were all a great help. We are proud of Halbert and this group. There was a special spirit in this Camp. My Dad, Missionary Rev. Harold Priday and a Honduran Pastor taught the morning classes on MARANATHA, THINGS TO COME. Honduran Preachers preached two nights and we had a Christian film one night. The last night I was privileged to preach. I felt a great burden as I prepared. The Lord blessed and I had liberty to preach and the Holy Spirit moved. PRAISE THE LORD, we had six saved during Camp and several dedicated or rededicated their lives to the Lord. We praise the Lord for the churches and individuals who prayed and helped finance the campers. May God bless you! Easter Sunday, we had a special 3 church sunrise service and I was asked to preach. In our evening service, we celebrated the Lord’s Supper and then each of the youth from our church gave their testimony about Camp. I am enjoying preaching in Spanish again and am have a discipleship class weekly with two men. We are reorganizing the visitation program. Six went out last Saturday. Thank you again for your prayers and support and may God bless each of you. It is our privilege to be your missionaries to Honduras. We praise the Lord for His blessings and protection as we have travel on this furlough. In February, we were in churches in Arizona, New Mexico, and Texas. We praise the Lord for those we have seen come to the altar to make different decisions and for the churches who are seeing their mission commitments increase. 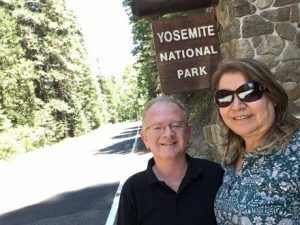 Some time ago, one of Halbert’s and Edgar’s former teachers from Honduras contacted us and told us that she and her husband were visiting a church and saw our picture on the wall. It was one of our supporting churches in Roswell, New Mexico. When we arrived, the pastor told us that she had recently decided to be baptized and would I like to baptize her! The church voted and authorized me to baptize Rocio and it was my privilege to do so. My Dad also baptized two in the mission church in Honduras. 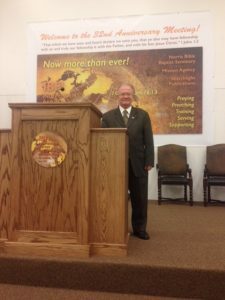 We have been privileged to win two to Christ on visitation in New Mexico and Texas. Below are reports on two projects running simultaneously. We do not usually do this, but this time it worked out like this. Please pray about both projects. We are excited to be returning to Honduras APRIL 5! Thank you again for partnering with us to take the Hope of the Gospel of Christ to Honduras with your prayers and support. Check out our web page, www.lesliepriday.com. May God bless you greatly. Thank you so for your prayers as we travel reporting to our supporting churches and visiting new ones. Since our last letter, we have been in churches in Georgia, Alabama, South Carolina, Texas, Arizona, New Mexico, and Colorado. Thank you for praying for our furlough as we push forward to the goals we have set for this time. We are nearing the end our our furlough. We plan to return the first week of April, Lord willing. Above all we pray that the Lord will use us for His honor and glory and that we will be a blessing in each church we visit. We pray that the Lord would call more missionaries to Honduras. Also, we are happy to get to see our family and friends again. We need to raise more support so as we report to our supporting churches we also pray that each one would increase our monthly support. If you are able to do that we would appreciate it very much. We count it a privilege to be your missionaries to Honduras. As we visit new churches, we pray that they would begin supporting us. We praise the Lord for those who have already increased our support and the churches that have started to support us financially. We ask every church we visit to back us with your prayers. Your prayers for us and the ministry are immensely important. Please pray for our upcoming Youth Camp. It will be during Easter week, or as they call it in Latin America, Holy Week. We ask you to pray for that the Lord will provide the funds to pay one half of each camper’s cost. That is $58.00. If you can help, please send your offering to the IBFI office, made out to the IBFI, and designated to Honduras Youth Camp. You will be making an eternal investment in that teens life. In past camps, we have had teens saved and others dedicate their lives to the Lord. Please pray for each teen and those who will be working, teaching, and preaching. 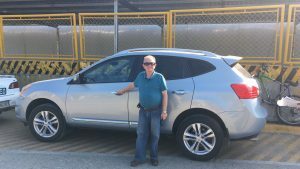 We praise the Lord for the funds that have come in for the vehicle to take back to Honduras and use on furlough. It is a Nissan Rogue. The bank that loaned us the money and has in the past explained that laws have changed and now when we take it out of the country it becomes an unsecured loan and the interest rate will increase. Please pray with us that the Lord will provide the funds to pay it off and to pay the shipping and to pay the Honduran import taxes by March. We are asking sixty churches to make one payment of $460.00 between now and February. If the Lord leads you to make a payment, please send it to the IBFI Mission Office and designate it as car payment. If you are not receiving our emails, please let us know at lesliepriday@gmail.com. We are trying to change to email only newsletters. If you prefer us to mail you a paper copy, please let us know. You may call by telephone to 817-341-9158. Thank you again for partnering with us to take the Hope of the Gospel of Christ to Honduras with your prayers and support. May God bless you greatly. Thank you so much for your prayers and financial support. 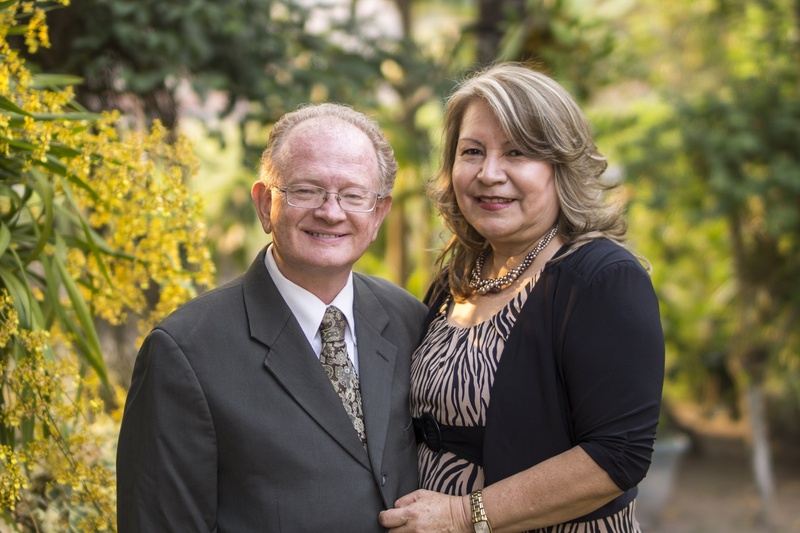 It has been our privilege to be your missionaries for 31 years. We have been in several churches in Texas, New Mexico, and now we are in Oregon visiting churches and our family. My grandmother is almost ninety-four years old so we are excited to see her. The middle of August we will be back in Texas and will be in churches in Texas and Oklahoma for the month of September. We praise the Lord for the good reception we have had in the churches we have visited. Please pray for the work as we are away. Different pastors and my Father are preaching each week and my Father is checking on them and helping them. Bro. Nery, one of the men in the church is receiving classes from my Dad and is teaching the adult Sunday School class and leads the services. Our son Halbert is the music director and youth Sunday School teacher and leader. Reports are that the work is doing well. We praise the Lord for the people’s willingness to serve Him and their desire to see the work grow. 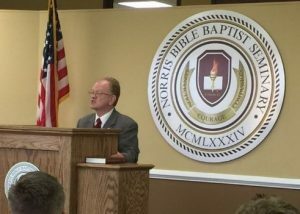 It was great to see many pastor friends at the recent Annual National Fellowship Meeting of the Independent Baptist Fellowship International in May. It is exciting to see how the Norris Bible Baptist Seminary is progressing (http://www.norrisseminary.org). We are looking forward to seeing all of you as we travel. If you are not receiving our emails, please let us know at lesliepriday@gmail.com. We are trying to change to email only newsletters. If you prefer us to mail you a paper copy, please let us know. You may call by telephone to 817-341-9158. Thank you again for partnering with us to take the Hope of the Gospel of Christ to Honduras. May God bless you greatly. Greetings from Texas! We arrived in Weatherford, Texas April 19th for our furlough. Our last furlough was 2007-2008. This time we are traveling without our sons. Halbert, Edgar, and his wife Alexandra remain in Honduras. Steve will be living in the Dallas Fort Worth area. We have already been in several churches. Please pray that we will be able to fill our schedule, raise the needed funds, and that we will be a blessing in each church that we visit. Thank you for your prayers for our recent Youth Camp. We had classes on how to win souls taught by a Honduran Pastor and myself. My father, Missionary Harold Priday taught the boys a special class each day and Missionary Miss Shelley Grimm taught the girls. We had a different preacher each night. We praise the Lord that we had fifty-seven in attendance. Two days, we held a mini vacation Bible school in a poor area outside of the city. Praise the Lord that we saw six saved there. We also have had several saved after Camp in the mission work. We also praise the Lord for all who gave special offerings to help the teens pay for their camp costs. Please pray for the work as we are away. Goodbyes are always difficult. All the responsibilities were assigned and the work will continue! Different pastors will be preaching each week and my father will be checking on them and helping them. We have about six ready to be baptized. We praise the Lord for the people’s willingness to serve Him and their desire to see the work grow. Thank you again for your faithful prayers and financial support. I will be preaching at the Annual National Fellowship Meeting of the Independent Baptist Fellowship International in May. Please pray that the Lord will use me to be a blessing and encouragement there. We are looking forward to seeing all of you as we travel. If you are not receiving our emails, please let us know at lesliepriday@gmail.com. May God bless you greatly.